D1 - 44 001 "Scafell Pike"
44001 is seen just north of Peterborough on 19th May 1976. 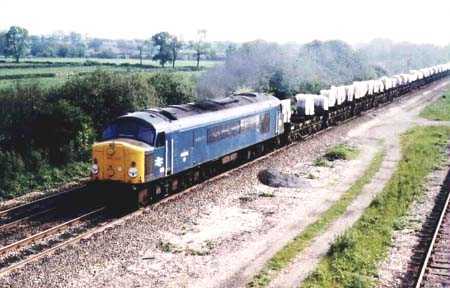 The photo was taken from a northbound express hauled by 55012. 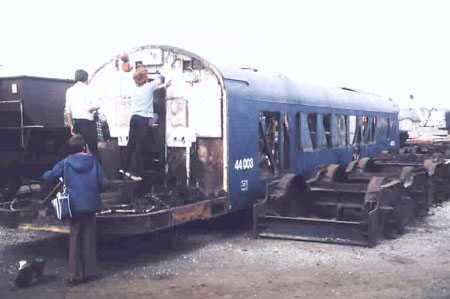 The 44 was withdrawn five months later and scrapped at Derby Works in February 1977. D2 - 44 002 "Helvellyn"
44002 is seen at Toton on 20th November 1976. 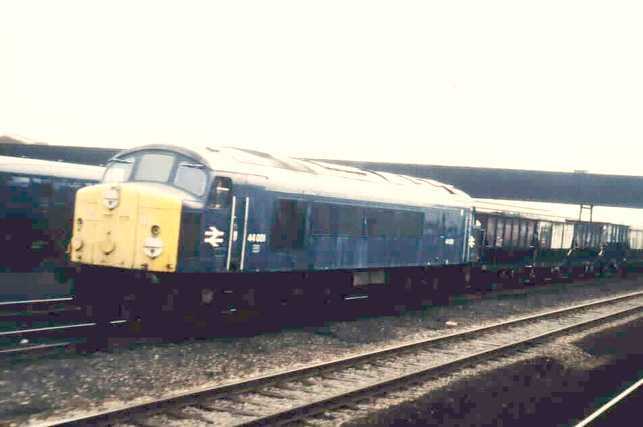 This locomotive was withdrawn in February 1979 and scrapped at Derby Works in October of that year. D3 - 44 003 "Skiddaw"
Not long to go for 44003 seen in, unusually for Derby Works, a grounded state. looks like a last bid to obtain a souvenir is in progress! Date - 4th September 1976, the locomotive had been withdrawn in July of that year, the first of the class taken out of traffic. 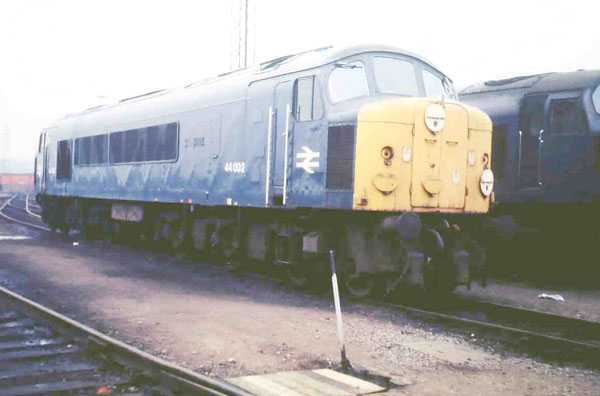 D4 - 44 004 "Great Gable"
44004 is seen at Stenson Junction, near Derby, on 8th June 1979. The locomotive still had just over a year to run before withdrawal in November 1980. This is one of two of the class which has survived in preservation. 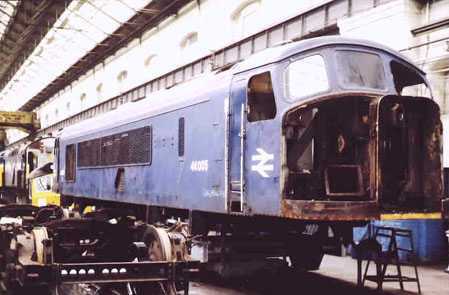 D5 - 44 005 "Cross Fell"
44005 is seen inside Derby Works being stripped of components before scrapping. this view was taken on 5th August 1978, the locomotive was cut up in December of that year. All photos by David Hills.